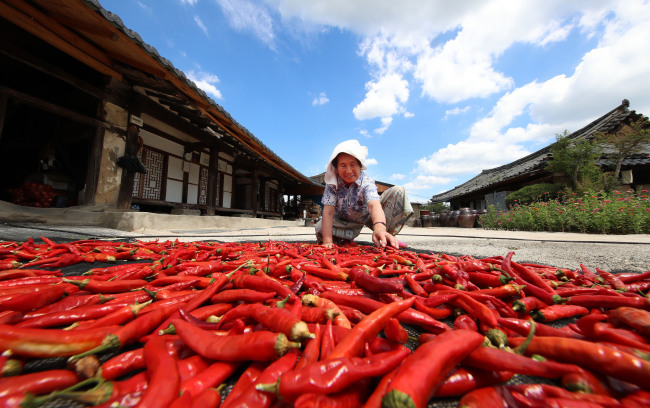 [Photo News] What’s redder than the sun? 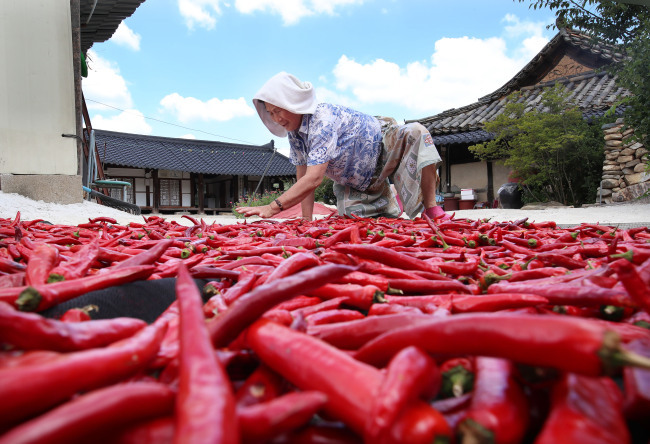 A woman was spotted carefully drying the year’s precious harvest of chili peppers at a traditional Hanok village in Hamyang-gun, South Gyeongsang Province, on Thursday. 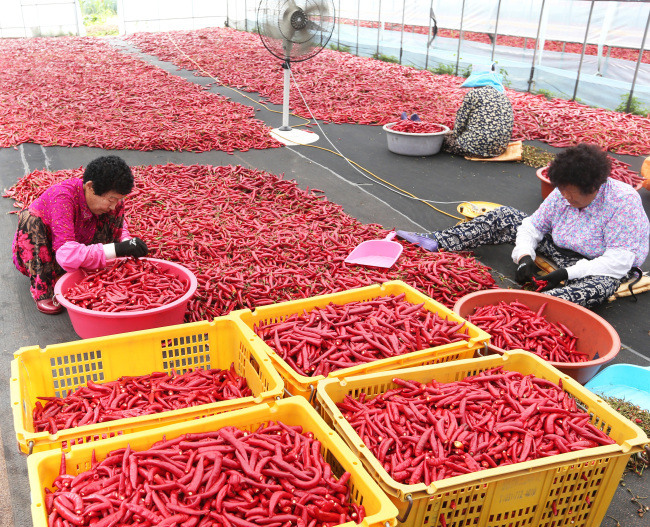 Vegetable harvest in Korea this summer has suffered due to 21 days of hot weather, resulting in a fall in supply and a rise in the prices of vegetables. On Wednesday, Korea saw a record high of 41 degrees Celsius in Hongcheon, Gangwon Province. Staff of the national weather agency personally traveled to the region to verify the unprecedented mercury level. The capital city of Seoul marked a record 38.8 C on the same day. With similar temperatures forecast for Thursday, the summer heat appears to be here to stay for the time being, although five days later will be Ipchu, the 13th leg of the 24 traditional seasons according to the location of the sun, which indicates the end of summer and the beginning of fall.